Fixed “white screen” bug caused by WooCommerce 2.4 on cart and checkout pages. The bug was introduced by WooCommerce 2.4.x, and occurred in specific configurations when the “keep prices fixed” feature of the Tax Display by Country plugin was enabled. The result were intermittent errors on the cart and checkout pages, which did not refresh anymore when the customer changed the country. The root cause of such issue was an undocumented breaking change in the logic used by WooCommerce to load shop’s base location, which caused our plugin to go into an infinite loop. Fixed bug caused by WooCommerce 2.4 on the checkout page. The same bug that affected our Currency Switcher also caused some issues on our Tax Display by Country. 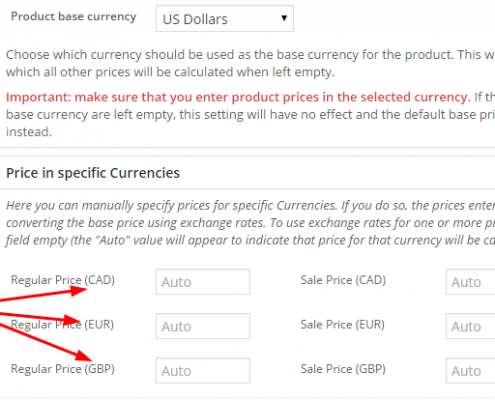 Due to the hidden breaking change introduced in WooCommerce 2.4, the Tax Display plugin could not detect the country change on the checkout page. The only side effect was that the country selector widget was not updated correctly (taxes are calculated by WooCommerce itself, therefore this bug did not affect them). We fixed this cosmetic issue, so that customers can get a more consistent user experience. Fixed bug caused by WooCommerce 2.4 on the checkout page. The same bug that affected our Currency Switcher had an impact on our Prices by Country plugin as well. In this case, since WooCommerce 2.4 prevented our plugin from detecting the country change at checkout, the product prices were not updated as expected. This new version fixes the issue. Fixed bug caused by WooCommerce 2.4 on the checkout page. The bug prevented the selection of the currency based on the country selected at checkout. The bug was caused by a hidden breaking change in WooCommerce 2.4, which prevented our plugin from detecting when the customer changed the country on the checkout page. The new logic we added will work with WC 2.4, as well as earlier versions (we always make sure that backward compatibility is maintained). Improved compatibility with Dynamic Pricing plugin. Added support for new logic used to handle Role based discounts. The new logic will now ensure that discounts applied to specific roles are converted correctly. Fixed occasional bug in recalculation of mini-cart totals. The condition was caused by an Ajax call that WordPress and WooCommerce did not report as such. This prevented the mini-cart total from being calculated correctly, in some circumstances. Fixed Admin UI issue caused by new Variable Products logic in WC2.4. The bug caused the wrong currency symbol to be displayed when modifying variations, and it was caused by the fact that the Ajax call in the backend could not be distinguished from one in the frontend. 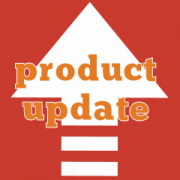 Replaced currency symbols with currency codes in Product Edit page. This should make it easier to edit product prices while having multiple currencies with the same symbols. See example, below. The new Product Edit interface shows currency codes, instead of symbols, making it easier to distinguish which price is being modified. Fixed issue caused by the caching logic used to handle variations in WooCommerce 2.4.3. This is the same issue that affected variable products, and we noticed that impacted variable subscriptions as well. We applied the same fix, to make sure that variations are loaded correctly and processed by our plugin, without being affected by stale cached data.